A recent BBC study discovered almost 50% of UK internet browsers are using mobile devices to surf the net. The release of Apple's iPhone in 2007 has been a key driver in the mobile internet market. This means internet use is no longer restricted to office or home, but available anywhere. Consequently social media is instantly available at any time of the day or night to anyone. This has key implications to business wanting to use social media platforms to drive traffic and improve percentages of lead generation and conversion. 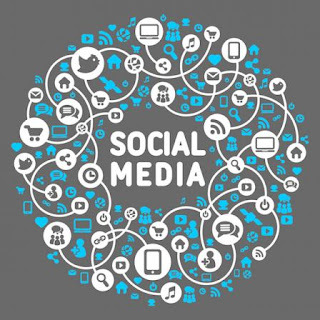 These days, social media platforms are essentially another form of PR. Potential customers view marketing as the laying out of options from which to choose. PR can best be described as the driver that causes a customer to prefer one brand over another, but it is the addition of canny marketing that grants those brands the exposure they need. Social media is a very effective tool in encouraging customers to choose your brand over your competitors. Marketing properties for sale or let through Twitter will get you nowhere. Home buyers purchase on a visual basis and a Tweet cannot support more than one photograph. In addition, people on Twitter are generally reluctant to being marketed or sold 'at'. Instead, Estate Agents would be wise to use Twitter to offer handy snippets of advice and encouragement to engage potential customers. This will encourage them to trust your brand and in return either buy through you or recommend you to others. Simply Tweeting "Property X for sale for lbY" does not engage or encourage your customer. This marketing tool is being employed in the wrong media space; potential home buyers will not base their judgment of the biggest investment of their lives on a Tweet. However, you could divulge other information that may pique their interest, such as types of property you have for sale. Twitter is the sphere within which to attract Vendors looking to sell, or Landlords looking to rent or buy. You need to advertise your unique brand on this platform, rather than particular properties. You need to advertise your reputation and market strengths, name drop some of your larger or more prestigious clients. These are the correct methods for enhancing your brand through social media. What clients, customers and partners have to say about your brand is vital for positive PR feedback. Encouraging such comments to be made on social media such as Twitter will generate this feedback. Approaching each property deal as a case study will allow you to judge your performance in relation to the Vendor's or Landlord's brief. Analyse whether you negotiated a satisfactory price and met your client's expectations. Concentrate on the client's whole experience with your brand. If you are building a string of local networks or increasing your profile in a certain area, this is the information to share through social media. Providing information crucial to buyers and the area - such as the provision of schools and shops - is the way forward with social media platforms and marketing. The most effective way to ensure that you continually rank with search engines and maintain high traffic for selected geographic and industry related terms, for example property for sale in Fulham is to undertake a monthly Social Media and SEO campaign. Our social media marketing can help you achieve your goals. Visit propertydivision.co.uk for more information.